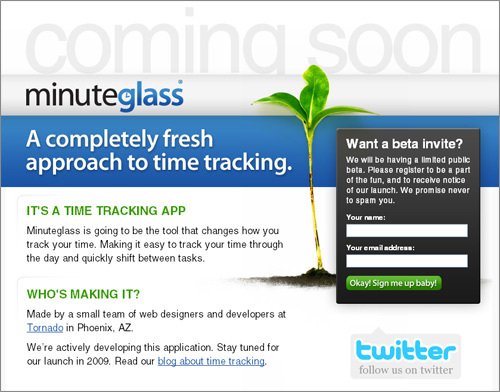 We’re busy working on Minuteglass, our upcoming time tracking application. Meanwhile, we’ve launched a new coming soon page. Check it out at www.minuteglass.com.